The all-new 2018 Subaru Crosstrek is in rarified air. What does it have it common with Jeep, Toyota, and Porsche? 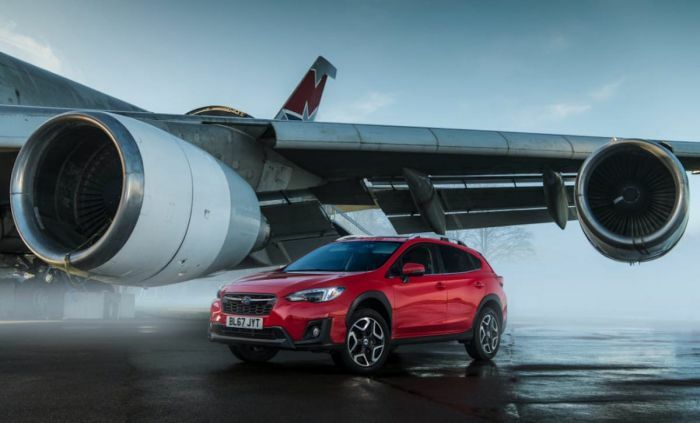 The redesigned 2018 Subaru Crosstrek is flying high for the brand. It’s built in Japan and selling like crazy around the globe, especially in the US. Consumers are snatching up the new compact Crosstrek at a record clip and it’s one of the 5 hottest selling new cars in America in April. According to USA Today, Crosstrek is number three on the list with the Jeep Wrangler #1, Jeep Compass #2, Subaru Crosstrek #3, Toyota C-HR #4, and Porsche Macan #5 being the five hottest cars in America. Subaru completely remodeled the Crosstrek for 2018MY and it’s paying off big. Every model in Subaru's lineup posted a sales decline in April, except for the new Crosstrek which saw a sales increase of 69.9 percent to 12,266 units in April. All other vehicles in the Subaru stable were down for the month with Outback (-2.7%), Forester (-7.3%), Impreza (-27.4%), WRX/STI (-12.4%), Legacy (-3.8%), and BRZ (-7.2%). Crosstrek was one the first Subaru models to get the new architecture (Subaru Global Platform) that improves driving characteristics, increases interior room, and it makes the compact all-wheel-drive vehicle safer than any Subaru model ever built. All future new-generation Subaru models will get it. Crosstrek’s new architecture improved rigidity in the frame enhancing NVH (Noise, Vibration, and Harshness), handling and safety. Subaru engineers increased the use of higher strength steel to pull off the improvements. The Crosstrek also gets a new suspension with the rear stabilizer now attached directly to the body that reduces body roll by 50 percent over the outgoing model. This all translates to improved driving dynamics. Consumers doing their research when looking for a new crossover, are responding in a big way to the new 2018 Subaru Crosstrek. They get an all-wheel-drive vehicle that’s comfortable for the city commute, fuel-efficient, gets enhanced active safety, and is recreation-purposed with a go-anywhere attitude. Subaru’s second-generation Crosstrek is on fire in April and one of the 5 hottest selling new cars in America. Is The Subaru You Drive Made In America?